Anyone who’s ever gone shopping with me will give it to you straight: I can find a convincing reason to buy almost anything. They call me The Enabler—if you’re looking for an excuse to get a new pair of shoes, a DSLR, a Wii, or an armchair (ooh, especially a chair), you should take me with you, because I’ll talk whatever it is right out of the store and into your home. Obviously, this weakness extends to the land of cookware and kitchen appliances as well. I’ve talked myself into such valuable (no, really; that’s not an ironic adjective) purchases as sno cone machines, retro-style beverage coolers, and one. more. piece. of flame Le Creuset. But it bothers me—well, if we’re being completely honest, it fills me with frustrated rage—to see people spending good money on stuff that doesn’t actually help them or simplify their cooking time, but is more or less a waste of money and a useless extra thing to wash at the end of the meal. Which is why I felt it necessary to show you, via video, that you don’t need any special equipment—no specific stone, griddle, or other specialty slab—to make pizza on the grill. 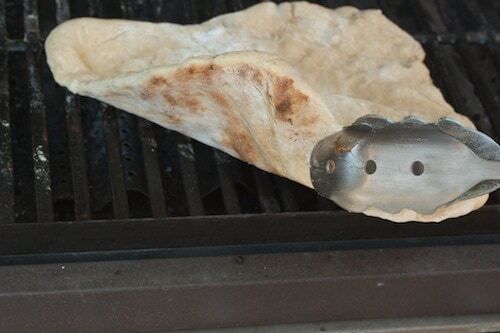 If you have a working grill and a piece of pizza dough, you have everything you need. Promise. For some reason, it freaks people out when I tell them I throw my dough directly on the grill grates. No, it won’t stick. 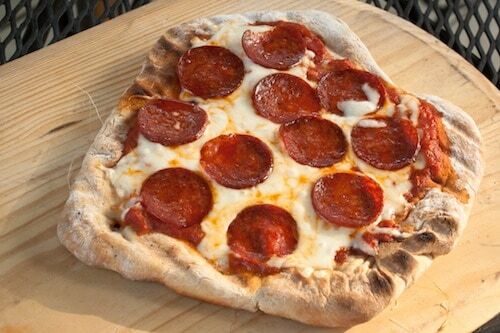 It might not be a perfectly round pie, but then, my pizza never really is. (We call it “freeform” here in our little hippie household.) And if you use my parchment paper trick instead of worrying about whether your dough’s going to stick tenaciously to a pizza peel, you’ve got one less thing to stress over. See? Nothing fancy, no magic tricks (just one cool bit of time-lapse editing). And you’re left with a crispy, chewy, blistered pizza every time. Now get off the computer and fire up the grill. Thank me later.